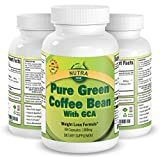 New, Organic Green Coffee 90x Capsules, 100% Natural Soil Association Certified, High Strength 500mg, Weight Loss, Improved Metabolism, Gluten Free, Vegan, Exclusive to Amazon, Simply Pure, Moneyback Guarantee. Green Coffee Extract is derived from the unripened fruit of the coffee plant. 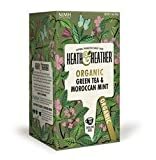 Our Green Coffee Extract is Certified Organic and Approved by the Soil Association of Great Britain. Green Coffee contains a high concentration of Chlorogenic Acid compounds, Epicatechins and Catechins. Take 1-2 capsules per day with meals according to individual needs. Made in the UK under strict GMP conditions.